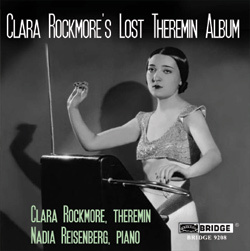 The Nadia Reisenberg/Clara Rockmore Foundation has been working on releasing one more album of Clara Rockmore's extraordinary theremin performances. You can help make this important recording happen with a donation to their Magical Music in the Air project. Best of luck, can't wait to hear it!